Researchers from the Cincinnati Children’s Hospital Medical Center analyzed medical records of approximately 45,000 children aged 2 to 5 to assess the prevalence of psychotropic prescriptions to this age group from 1994 to 2009. Results showed that within 15 years overall psychotropic prescriptions to young children decreased approximately 50 percent, but increased among boys, Caucasian children, and those without private health insurance. In addition, the likelihood of receiving a behavioral diagnosis increased from 2006 to 2009, but was not accompanied by an increase in psychotropic prescriptions. The authors speculated that the overall decrease for prescriptions is likely due to numerous warnings for health risks associated with psychotropic use. “This study documents shifting practice patterns with respect to the use of psychotropic medication in the treatment of very young children,” David Fassler, M.D., a child and adolescent psychiatrist and APA treasurer, told Psychiatric News. “While the results are interesting, they should be interpreted with caution. 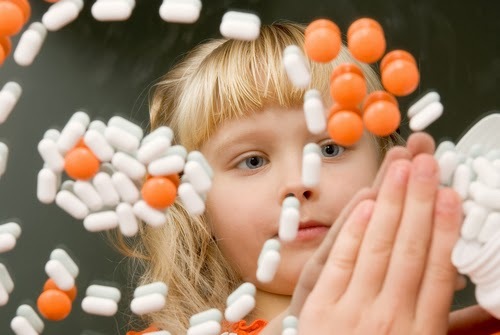 Ultimately, the real question isn't just how many young children are receiving a specific medication; it's whether those who are most at need are getting the most effective and appropriate intervention possible.” Fassler concluded that more studies are needed to evaluate the long-term effects of psychotropic-medication exposure in young children.